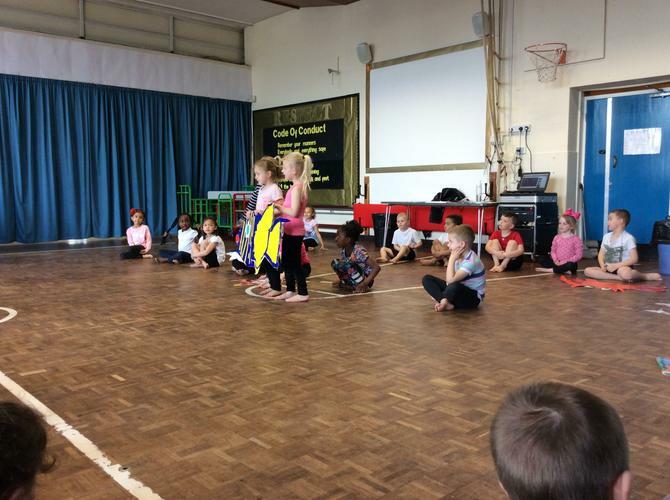 They then performed a dance and some of the children showed there amazing gymnastic skills. They all did so well and were so brave. We are all very proud of them. See clips of the dance. I have been working with the year 3's who are currently reading The Iron Man by Ted Hughes. As part of their art work they have been drawing and creating pictures of the iron man. We have been using Charcoal as a medium which is very messy but fun and the children produced some brilliant results. 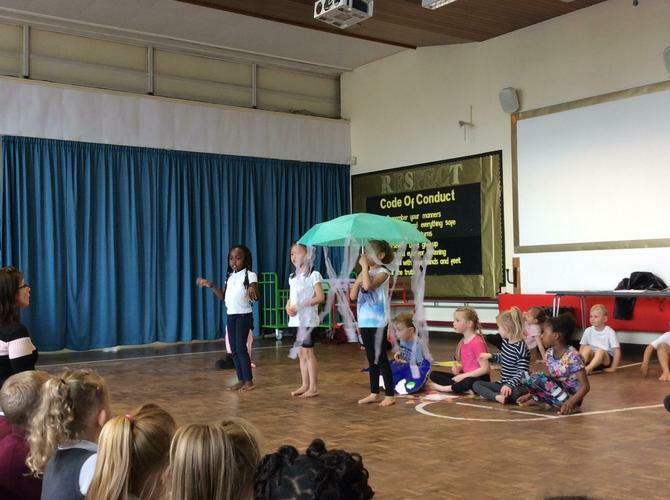 Next week the year 1 creative art pupils will be performing in assembly to their parents. We are all very excited and looking forward to sharing what we have done in this time. 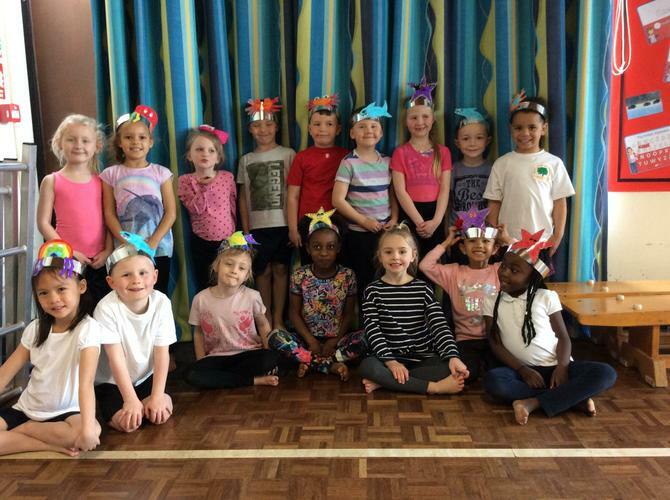 We are looking forward to taking part in Bestwood culture festival and an art exhibition during the summer term. 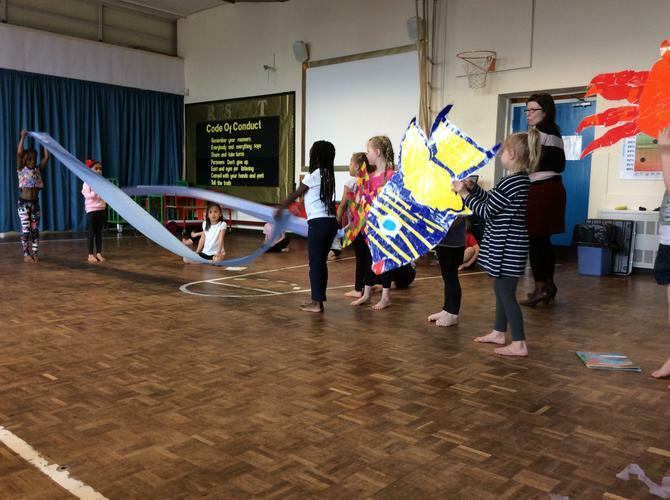 I have lots of ideas for new projects I look forward to getting started on these, with the children during spring and summer term..
For world book day we ran 3 different workshops across the phase groups. 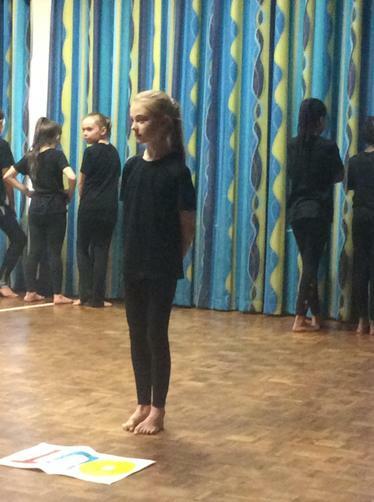 The workshop focused on drama. Year 1/2 look at the books of Julia Donaldson, focusing on.' The Gruffalo.' and new adjectives. They created new chants which they performed to the group. And dirty teeth in his pointy jaws? And a dirty wart at the end of his nose. He has soft prickles all over his back. 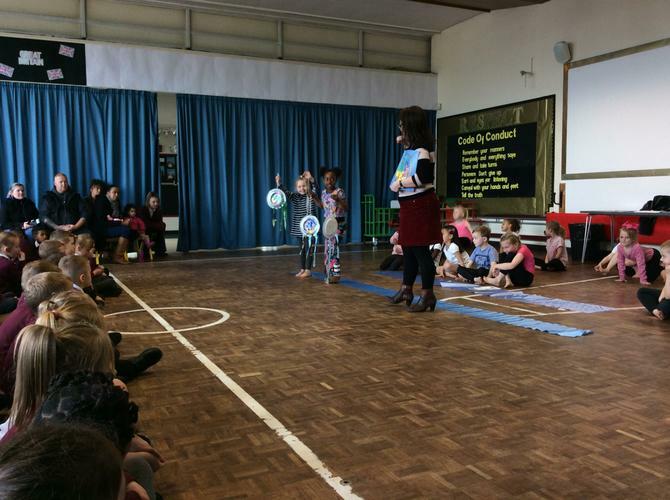 We looked at the characterisation of Grandma and George and created small scenes which they performed- Wow there were some amazing performances. Worlds Worst Children. 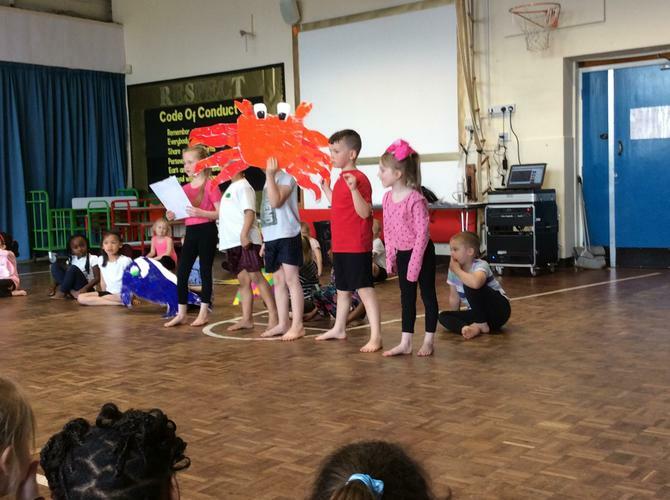 We looked at the worst behaved class and the worst people to meet using improvisation. Then in groups we created a new 'World's worst child,' and the other children had to guess what characteristic the child had. 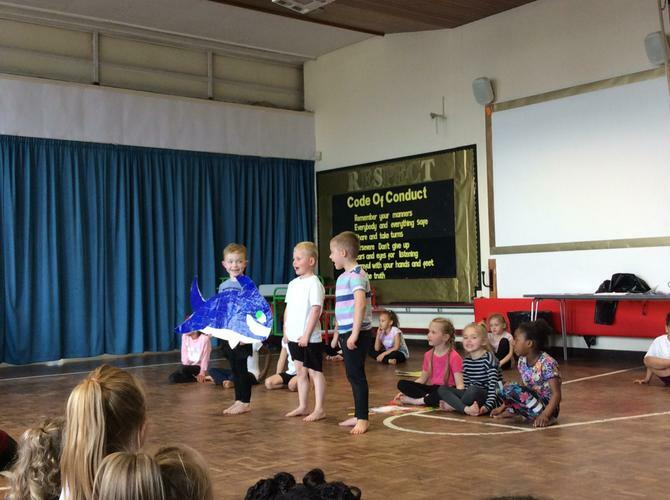 The children and myself had a highly enjoyable day and was great to see so many children at ease and confidently putting themselves forward to share ideas and perform. 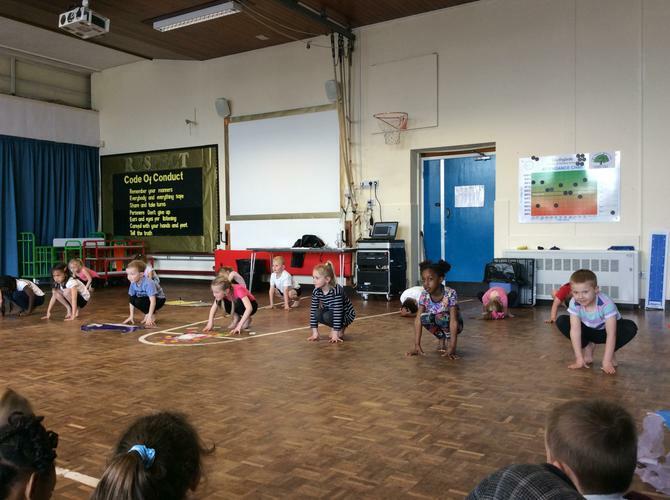 I have just started a new project with 20 amazing year 1's. 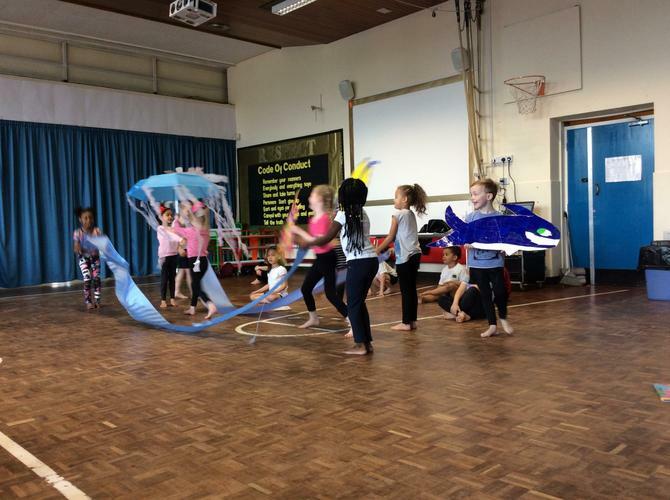 The topic is based on their class learning- Under the sea. We are using their class book as an inspiration, 'Commotion in the ocean.' 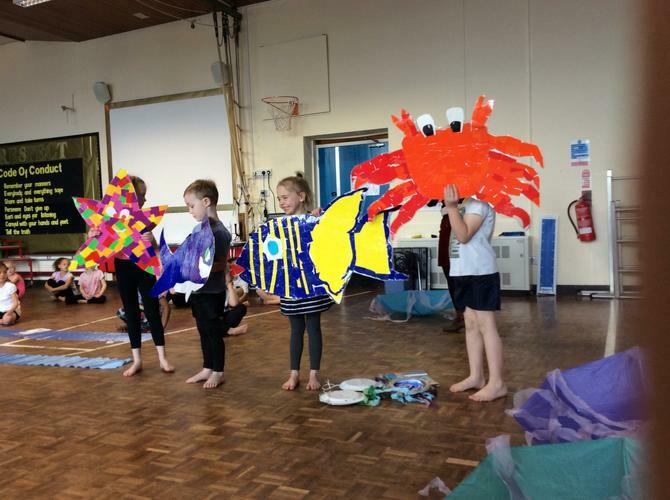 So far we have created a porthole of what we might see under the sea. 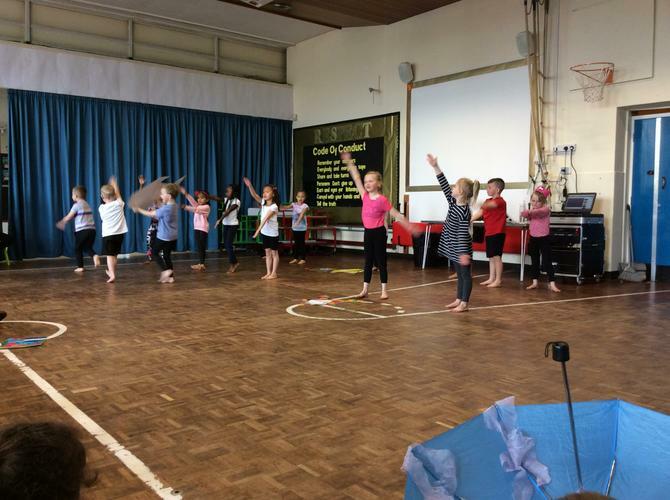 We are currently working on a dance and can't wait to see the results when we put it all together and perform for assembly. 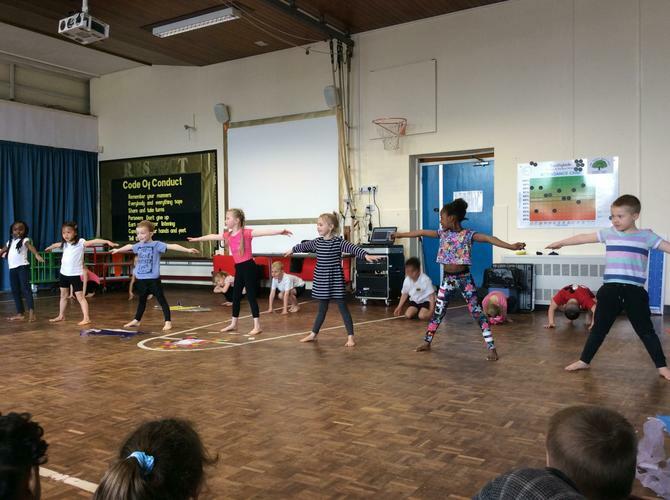 We were very lucky to take part in a dance showcase at Ellis Guilford. 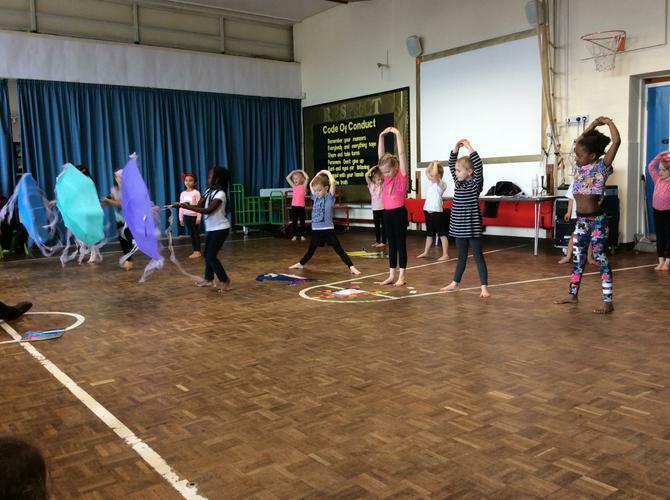 Year 6 dancing group decided they would like to re - dance, "This is me," from The Greatest Showman- such an empowering song. 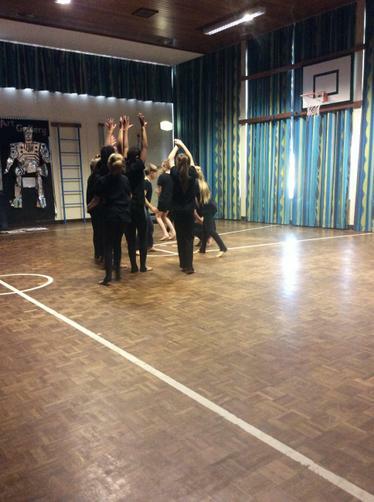 We had a couple of rehearsals and added some new parts to the dance. 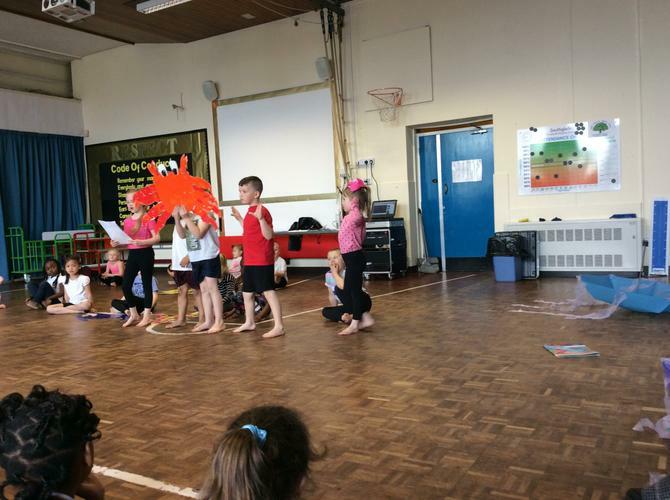 The children performed brilliantly on the evening. 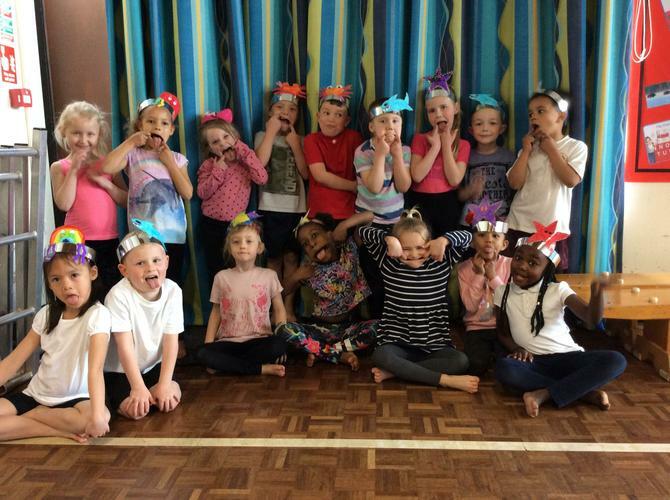 Please look at the video resource centre to see their dance. 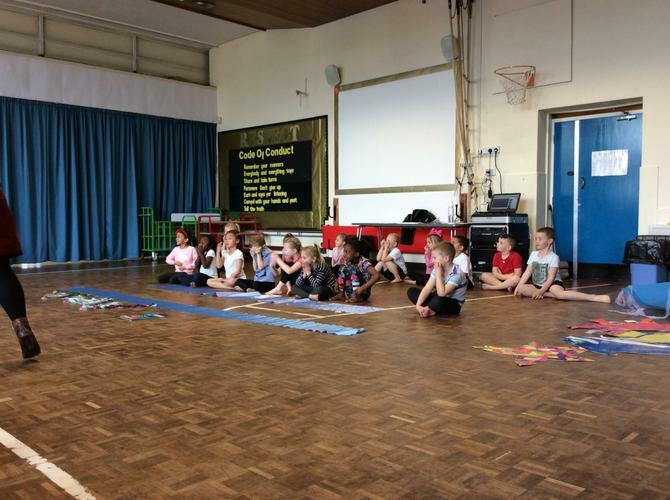 The childrens final project was to create their own composition with the skills they had learnt. They all did a marvellous job and created some amazing pieces of art. To these they added their portrait which they turned into an astronaut looking out into space. These are now on display in the classrooms and hall. A group of children from year 5 are currently working on an art project. 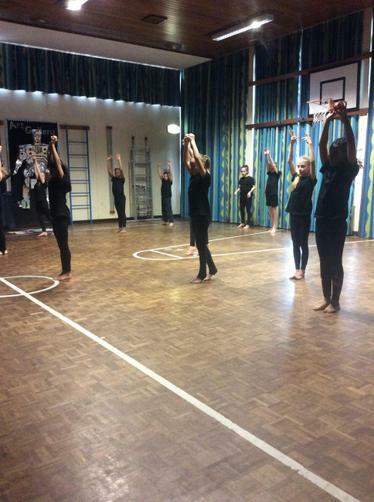 Their focus is Space which links with their topic this term. The children have been exploring light and dark and use of oil pastels. We have been looking at how to make pictures look 3D how to create texture and depth to a picture. 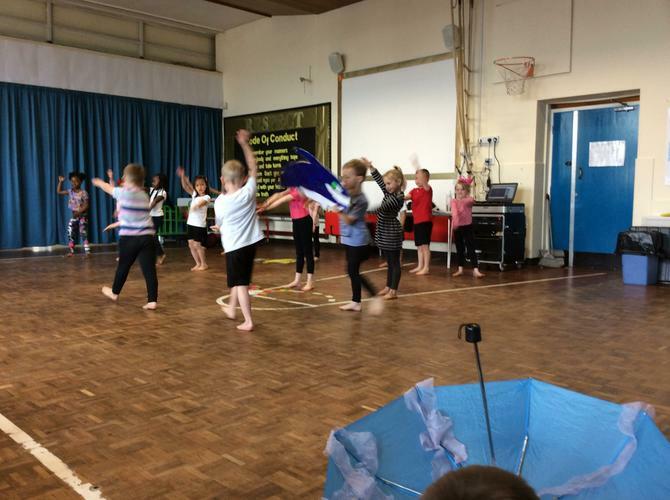 The children are currently creating a composition using the new skills they have been taught. They will then be teaching their year group and creating huge pieces of art work. Their role will be to teach their peers what they have learnt. I look forward to posting pictures of this. 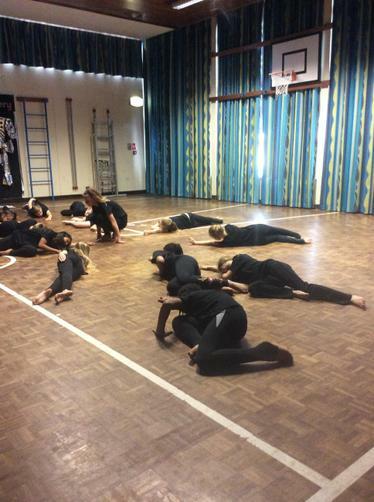 Mrs Dowse has been working with the year 6 creative arts group over the last half term. 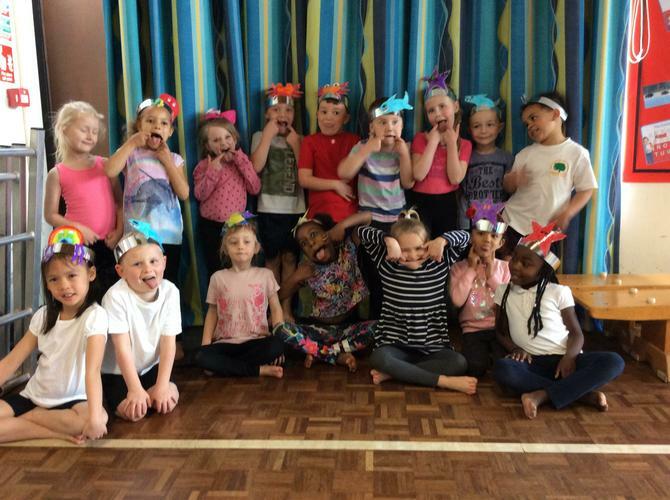 Their focus has been on contemporary dance- this is a style which is a mixture of ballet and modern dance using pieces of music to tell the background story. 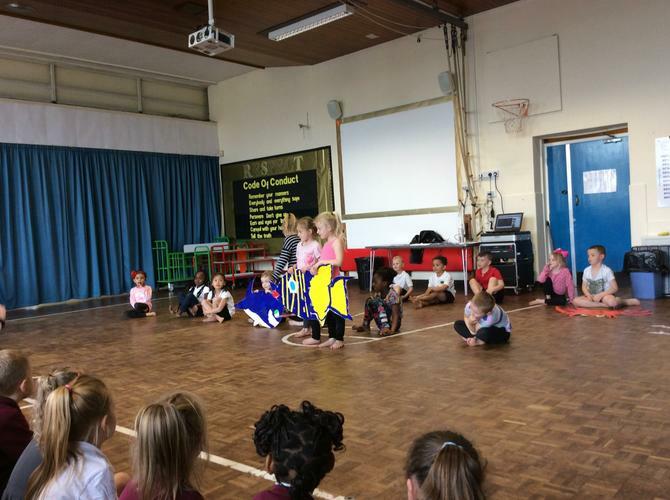 The piece focused on anti-bullying and was performed during anti-bullying week- not only to their own school but to Parkvale School and to Robin Hood School. 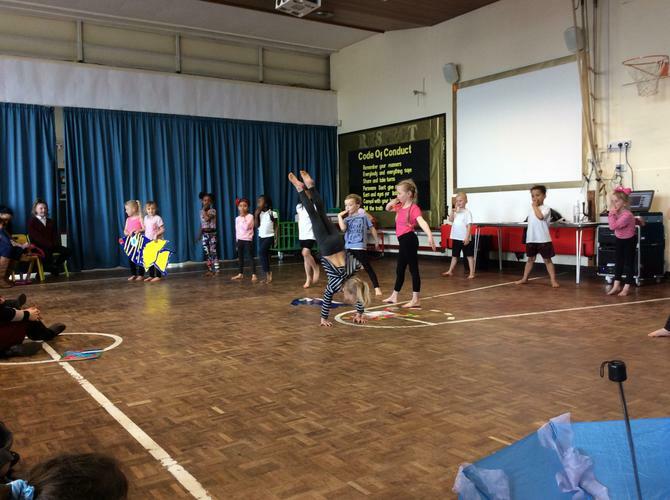 The children took part in weekly dance sessions where they created the contemporary dance alongside Mrs Dowse.